If you’re planning a cookout or an outdoor dinner party and you want to offer more than the usual BBQ; we’ve prepared a menu of light yet flavorful summer recipes to pair with Seven Sister’s South African wines that are great when served chilled. 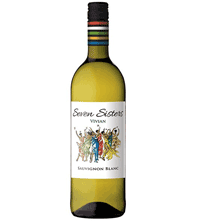 The Seven Sister’s wine brand was created by the Brutus sisters - Vivian, Twena, Dawn, Odelia, Yolanda, June, and Carol. They grew up during apartheid in Paternoster, a small fishing village off the western coast of South Africa. According to their website, the sisters and their younger brother had to leave their beach town at an early age when they were evicted from their home. Always wanting to return to home, the seven sisters got together 20 years later and created a wine brand that could help them reinvest in their village. The wine company has seven wine varietals named after each sister. The wine is distributed by Heritage Link Brands, a black-owned wine importer based in Los Angeles, CA. "Vivid strawberry color and fresh red berry flavors on the nose." Best Paired with: Fresh fruits, light meals, salads, crackers and cheeses. "Tropical flavors with underlying supporting green pepper and vegetative notes." Best Paired with: Fresh herbs, fish, shellfish, green vegetables and salads. "Fresh and zesty, with lime and honey flavors on the palate." Best Paired with: Fruit salad, ice cream and other deserts. For more recipes, go to MarcusSamuelsson.com. Marcus Samuelsson is an award-winning chef and owner of Harlem restaurants Red Rooster, Ginny’s Supper Club, and Streetbird Rotisserie. 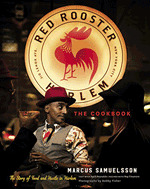 His new book The Red Rooster Cookbook: The Story of Food and Hustle in Harlem can be purchased now.